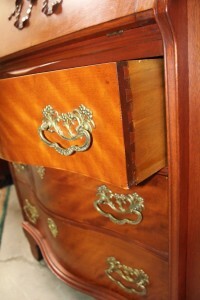 My husband’s brother inherited a piece of antique Victorian-era furniture originally belonging to his great-grandfather. The piece has stood in the living room of my brother- and sister-in-law for many years since Grandma (the original owner’s daughter-in-law) passed away. 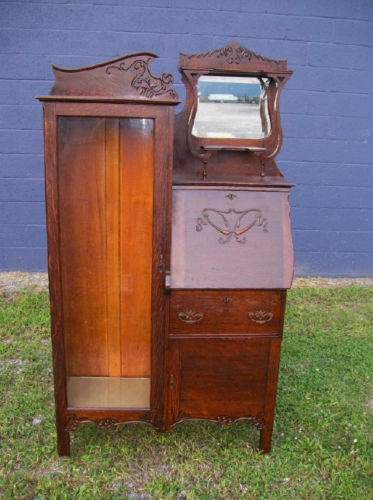 I’ve admired the piece but didn’t recognize it was more than a glass-fronted cabinet–a writing desk!–until I saw an historic advertisement for a nearly identical piece in a nineteenth century newspaper advertisement. 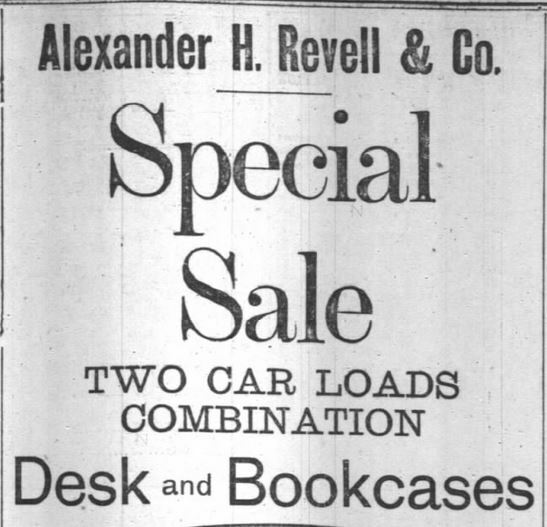 Combination Book cases and Desks advertised in Chicago Daily Tribune, 7 September, 1902. Roughly $300 seems a fair price for such a piece of furniture. Desks such as these were sometimes called “Ladies’ Desks” or a “Secretary”. Remember correspondence was a huge part of the culture in Victorian times, the premiere way of staying connected with family and friends both in town and far away. The same way you and I carry a mobile phone and desire frequent if not constant internet access, the postal service and letter writing was elemental to nineteenth century society. My husband’s family’s heirloom combination desk and bookcase. This recognition of a family heirloom‘s identity and purpose prompted a valuable conversation with my mother-in-law about what she recalled about the piece in her grandparents’ home. The home had a side entrance as was quite common in those days. 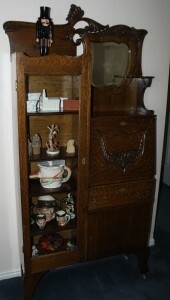 She remembers this combination desk and bookcase standing in her grandparents’ dining room during her young childhood. Guests were entertained in this nicest room. 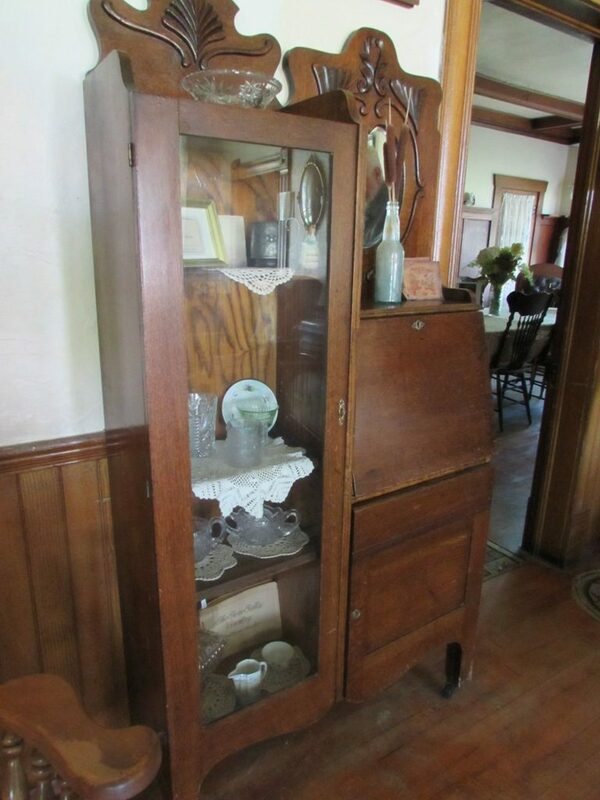 The room also held a buffet (sideboard), dining room table and chairs, possibly (she wasn’t certain) a china cabinet, an upright piano, and an oil stove for heating the room when in use during cold winter months. When the room was not occupied during cold weather, the doors were shut and the room was left unheated. The coal stove in the kitchen kept that room and a neighboring back sitting room (couch, chair, a couple card tables) warm. The master bedroom was at the front of the house and had its own stove. Such stories make me grateful for central heating! 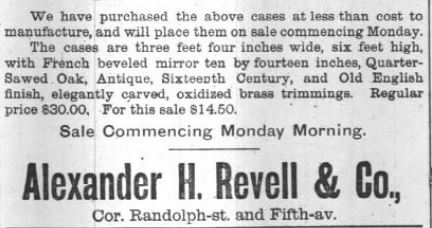 The Times, Philadelphia, Pennsylvania, on 24 September, 1891. Images such as these were carved by engravers, as technology had not yet advanced sufficiently to print photographs in newspapers. Desks such as this one belonging to my husband’s ancestry were most common in the late Victorian (and Edwardian) Era. We believe the piece pictured above was purchased near the turn of the century. From other advertisements and images of surviving desk/bookcases, it’s evident they were stylish and available in the United States decades earlier. 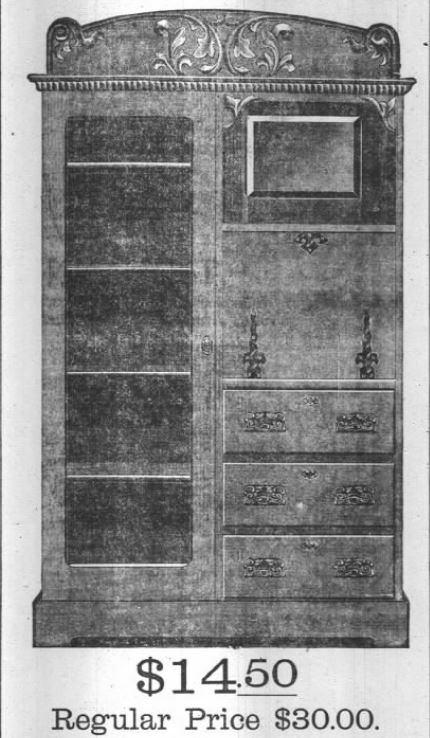 Advertisements much prior to the 1890’s did not contain engravings, simply a statement of a “Secretary” Desk and bookshelf for sale in a furnishing advertisement. The pieces seemed popular as Christmas gifts. Given the hefty price tag, it’s not surprising that such purchases were not an every day occurrence for most. 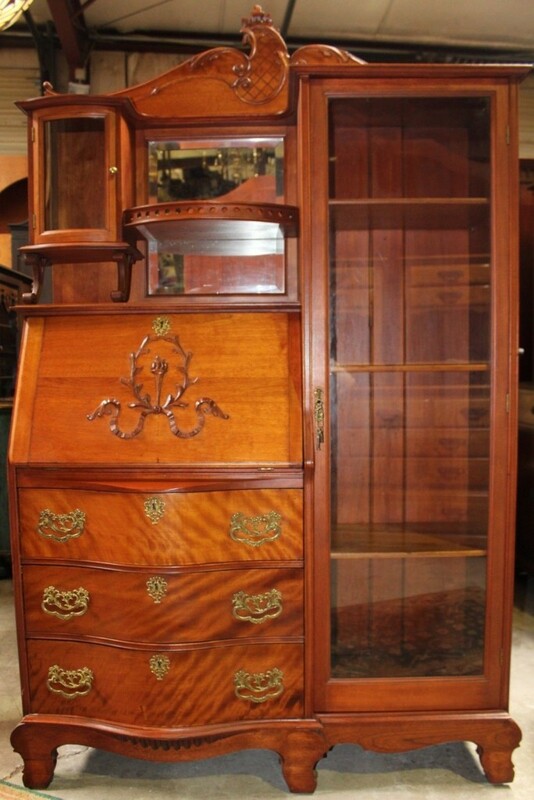 Antique Cherry Secretary Desk Bookcase, 1883, open to show interior. Currently for sale on ebay. 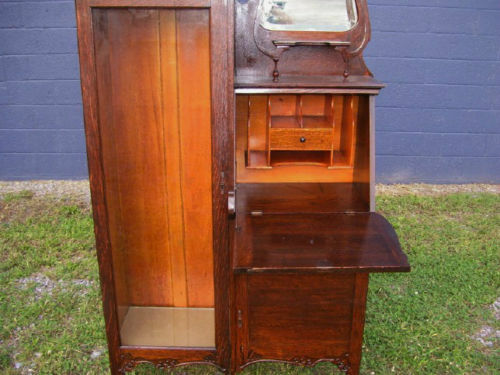 Antique Cherry Secretary Desk and Bookcase, 1883, currently for sale on ebay. Open drawer shows dovetail carpentry. 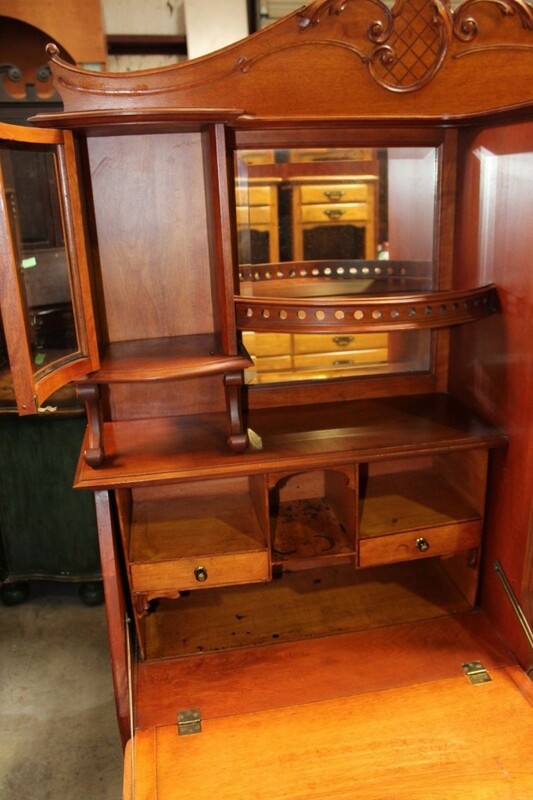 Antique Cherry Secretary Desk and Bookcase, currently for sale on ebay. 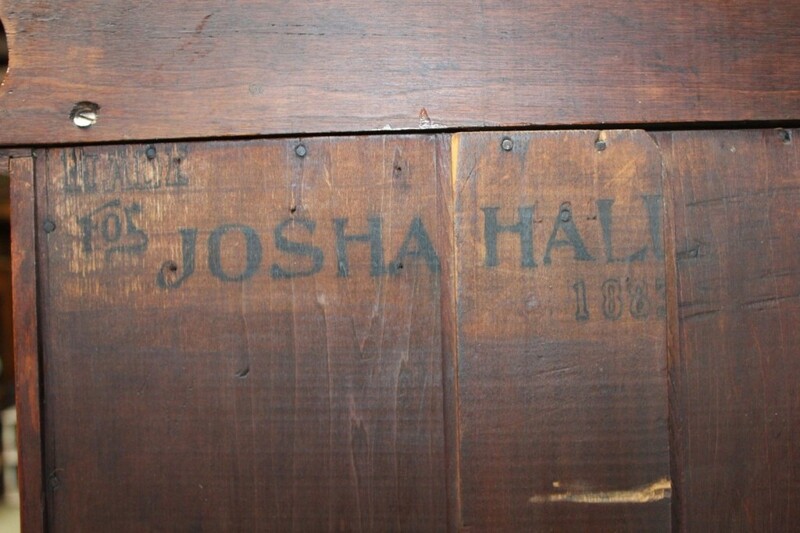 Imprint on back shows year: 1883. Special Sale. Desk Bookcases. Part 1. Chicago Daily Tribune, Chicago, Illinois, on 6 December, 1891. Special Sale. Desk Bookcases. Part 2. Chicago Daily Tribune, Chicago, Illinois, on 6 December, 1891. Special Sale. Desk Bookcases. Part 3. Chicago Daily Tribune, Chicago, Illinois, on 6 December, 1891. 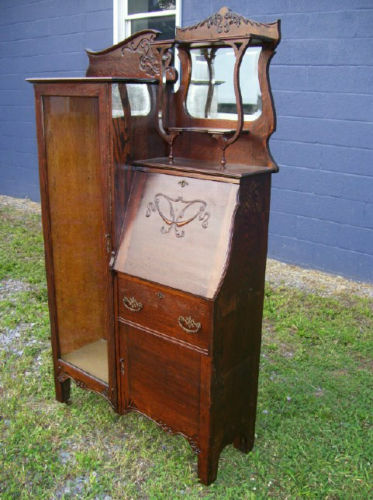 Antique Oak “Secretary Desk” currently for sale on ebay. Shows the desk open. The Inter Ocean, Chicago, Illinois, on 29 October, 1893. 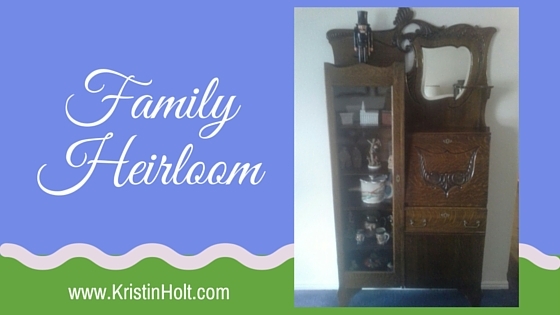 Do you have special antique heirlooms in your family? 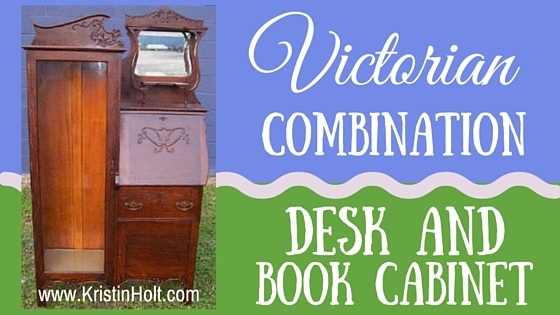 Have you noticed combination desk bookcases in historic homes you’ve toured? What about this article caught your interest? Please scroll down and leave a comment in the space provided, below. Top 5 Reasons READERS of Western Historical Romance Benefit From Visiting Historical Museum Residences Top 5 Reasons AUTHORS of Western Historical Romance Benefit From Visiting Historical Museum Residences Victorian Fountain Pens (and Penmanship) Pencils: Common in the Old West? First Historical Use of term “Correspondence Courtship” America’s Victorian Era Love Letters Book Review: Life in a Victorian Household, by Pamela Horn Screen Doors, a new invention!